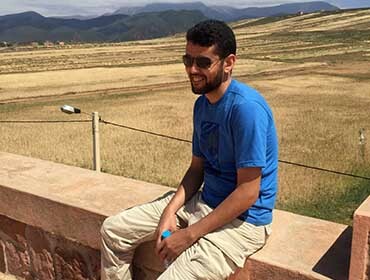 Following an undergraduate in Growth and Plant Protection and Masters of Science in Ecological Engineering and Methodologies of Analysis and Management of Biodiversity, Rachid is now finishing his PhD in Ecology and environment. Cadi Ayyad University, Semlalia Faculty of Sciences, Marrakech. His research focuses on the study and monitoring of biodiversity in the High Atlas. In his role as Field Scientist with Global Diversity Foundation, Rachid collects data on biodiversity-related topics and ensures the implementation of biodiversity conservation actions, while providing on-the-job capacity-building to Community Researchers.